Agnes Emilia Carlsson (born March 6, 1988, in Vänersborg, Sweden), also known mononymously as Agnes, is a Swedish pop singer who rose to fame as the winner of Idol 2005 the second season of the Swedish Idol series. She has since gone on to be one of Sweden's and Europe's most popular and best-selling female singers, selling over 180,000 albums in her home country alone. In mid-2009 she became the first Idol contestant to receive an international launch, with the singles from her third album Dance Love Pop being released in 35 countries worldwide. Her first international single, "Release Me", has sold over 700,000 copies worldwide to date. 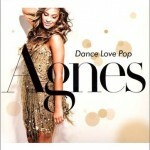 Agnes' influences include Beyoncé Knowles, Whitney Houston, Janet Jackson and Robyn.